When is the best time to have your carpets cleaned? Some people tell you to have it cleaned every autumn and spring but that can be excessive, and if doing it yourself, it will damage your carpets. The wrong shampoo can affect dyes or fibre dullness, and more. If your carpets need some TLC, but you need to cheap out and do it yourself on a semi-annual basis, might as well wait and pay a professional and will do it less frequently. They know how to treat stains based on stain type. 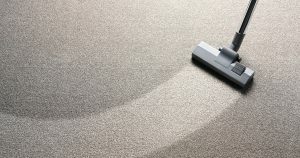 They often can do their job with non-toxic cleaners, and they have better machines that make carpets drier at the end of the process. Professional carpet cleaning in Wavell Heights will have a huge impact on the smell and dust level in your home. It can prolong the life of your carpet. It’s always important to attend to stains as quickly as possible before it dries up. Rubbing or Scrubbing the stain will not help this it will just push the dirt deeper into the carpet. Removing stains on carpets requires patience, urgency and careful attention, if you delay the possibility of the stain becoming a permanent stain increases. You need to be quick in calling professional carpet cleaners in Wavell Heights to attend the stain. Professional carpet cleaners are skilled and trained, they also using the right removal products which is safe for any type of carpet.